This smart terminal can be used as a countertop or wireless terminal. 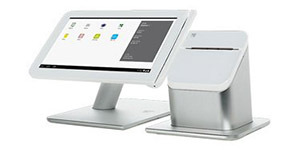 The Poynt Smart Terminal is making the traditional terminal obsolete by offering full POS system performance! 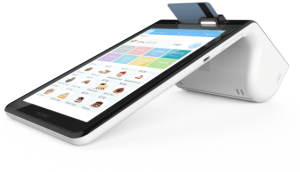 The Poynt Smart Terminal lets merchants leverage the latest in payment technology to manage their business like never before. 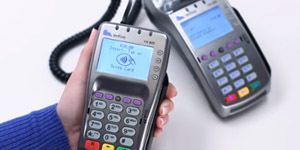 Features like a built in printer, hybrid card reader, customer facing camera, and multiple connectivity options provide businesses with the flexibility they require, at a price they can appreciate. The terminal is mobile and can move around your store. If you want to take orders while customers are waiting in line, take payments from curbside pickup or take it to the storeroom to do inventory you can do that. 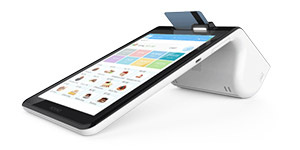 You can even take it on deliveries or to the farmer’s market thanks to its 3G/4G modem. 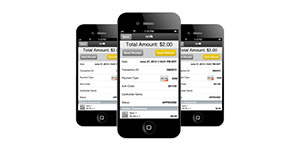 The Poynt system provides sales and inventory analytics along with other monitoring tools that are accessible on the terminal, online, iPhones, and Android phones.